All Sunnyvale homes currently listed for sale in Sunnyvale as of 04/22/2019 are shown below. You can change the search criteria at any time by pressing the 'Change Search' button below. 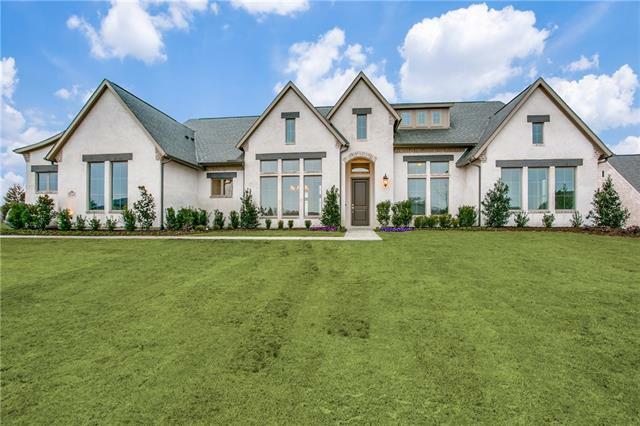 "Perfectly placed on a two-acre parcel, this Harwood Luxury Homes showplace property is an amazing blend of design elements and style. From the Modern Mediterranean fa ade fundamentals of the courtyard front entry, stucco and clay shingles to the bronze and iron accents of the wooden overhead doors on the three-car garage. 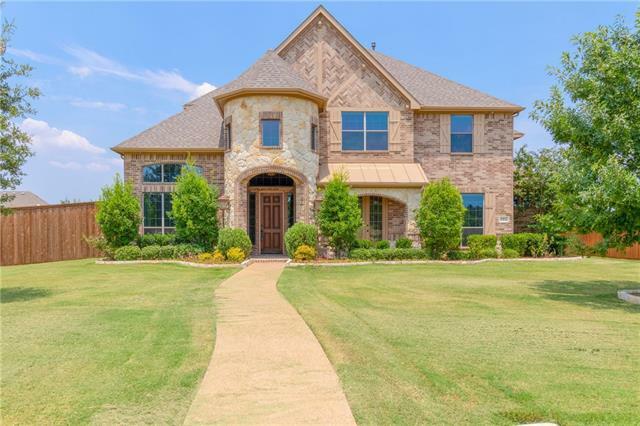 The transitional interior seamlessly blends the old and the new from the imported hardwoods, high ceilings, French doors and archways to the recessed lighting and contempo"
"This very well maintained home has the WOW factor throughout! The grand foyer featuring marble floors is picture perfect with dual curved staircase featuring wood and granite finishes. The great room, formal living and dining, as well as kitchen and nook are all open and perfect for entertaining large audiences. Excellent for a large family, the home has 5 bedrooms, plus a study and game room. 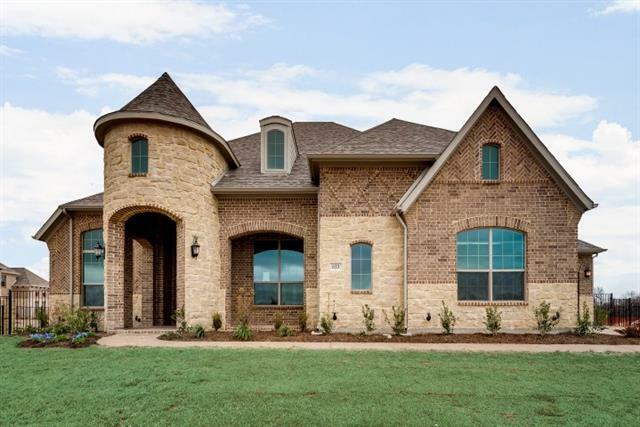 The outdoor features a covered patio, open balcony overlooking a heated pool & spa surrounded by a $80K"
"New construction built by Southgate Homes. Situated on a pie-shape lot 1.22 acres! Scheduled to complete in April 2019. Functionality is sensational! 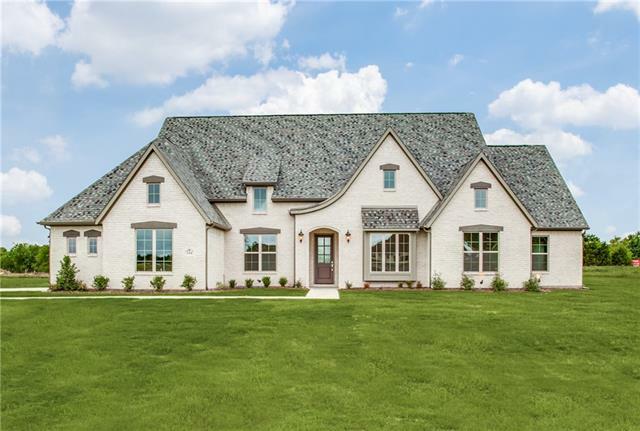 This home has everything you could need in a one-story home, including an open flow between the kitchen, breakfast and family room, a private study, formal dining for entertaining, 3 secondary bedrooms and game room. Additional highlights include a mud room and bench, ample counter and cabinet space, expansive outdoor living and 3 car garage." "Breathtaking architectural design by Southgate welcomes you into this impressive home.You will be greeted by a wall of telescoping glass doors and a view of the outdoor patio and backyard.Exquisite designers choice interior upgrades of shutters,wood beams,quartz,lighting,wine bar,cabinets and flooring are stunning.Entertain on the covered patio created for indoor to outdoor living with electric screens,sound system and fireplace.Explore the oversized master closet and special garage storage spac"
"New construction built by Southgate Homes in the high demand Stoney Creek community. Over 1 acre cul-du-sac homesite. Offers an expansive master bedroom with a stylish tray ceiling, two large walk-in closets, and a spacious master bath with dual vanities, a linen closet, and lavish shower. The large kitchen and breakfast area open to the expansive great room. The delightful covered patio can be accessed through the kitchen. Other highlights include a convenient laundry, cathedral ceilings throug"
"New Construction .The Drive up is great with the gables and stone work. The oversized family room is open to kitchen with a view of the rear yard. The kitchen is a dream come true. Large island that friend can seated at, lots of counter space for cooking, double oven and all open to family room. This home will be great for entertaining. Master bath was a oversized master shower with two shower heads, Corner tub, Master closet is 14' long." 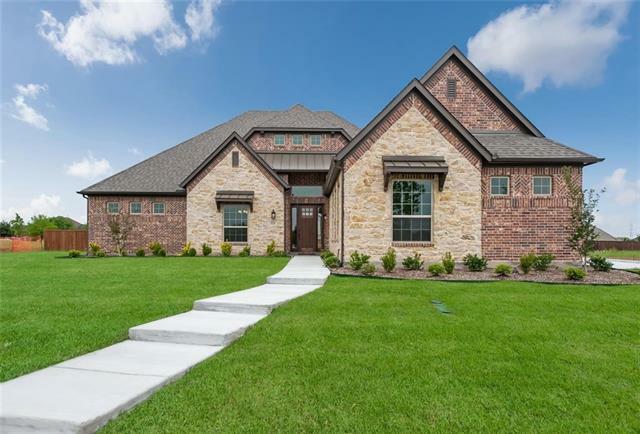 "MLS# 14017854 - Windsor Homes - June completion! 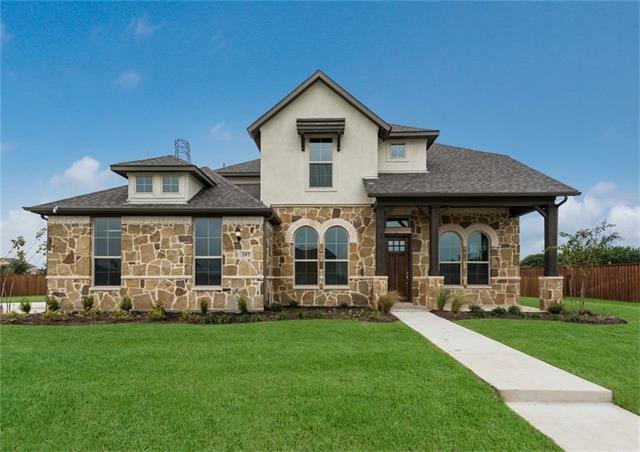 - To view go to model at 2201 Bailey Drive, Rowlett, 75088 ~ Gorgeous 1 story Plan with huge kitchen and double islands. Butlers pantry, Double Ovens. Nailed Down Hand Scraped Floors, Enormous Covered Patio, Large Mudroom with Cubbies & Cabinets. Large Laundry with built in cabinets & Sink. Pool Bath, 20 x 12 Air Conditioned Flex Space & Much More!" "New construction built by Southgate Homes in the newest phase of Stoney Creek. Community located directly behind the high school off Tripp Rd. Scheduled to complete in March. 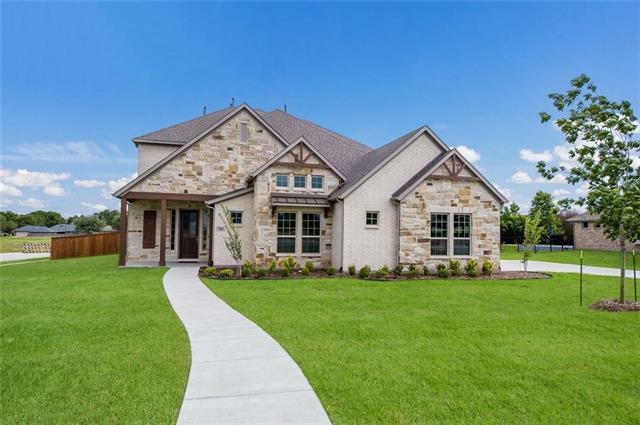 Single Story home with tall ceilings and plenty of natural light. 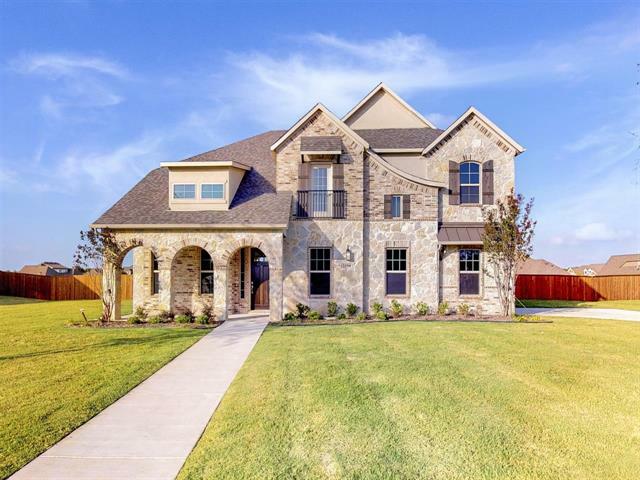 4 Bed, 4.5 bath and a Media off the back of the home is perfect for entertaining. Foam insulation, radiant barrier and tons of upgrades!" 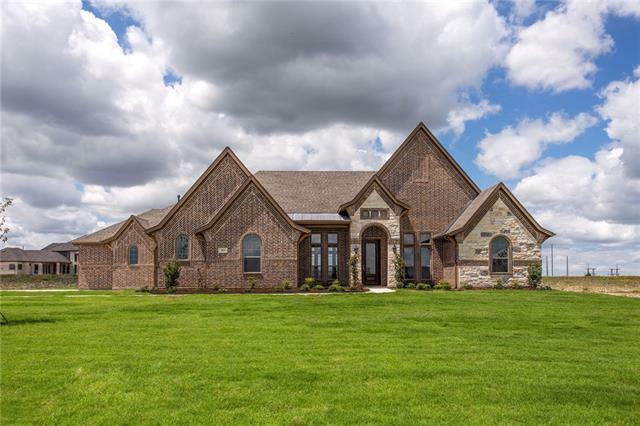 "Welcome home to this exquisite ranch-style 4 bedroom and 4.5 bath custom dream-house that is sitting on over an acre of land. Upon entry through the extended foyer, you are met with hallways leading to every major wing of the home. The master-suite is complete with spacious dual walk-in closets, dual-vanities, an ample tub, & a dual-entry walk-in shower. An office-space adjoins the master bedroom. Featuring a theater room & recreation room with a built-in bar & ice-maker, the amenities abound. 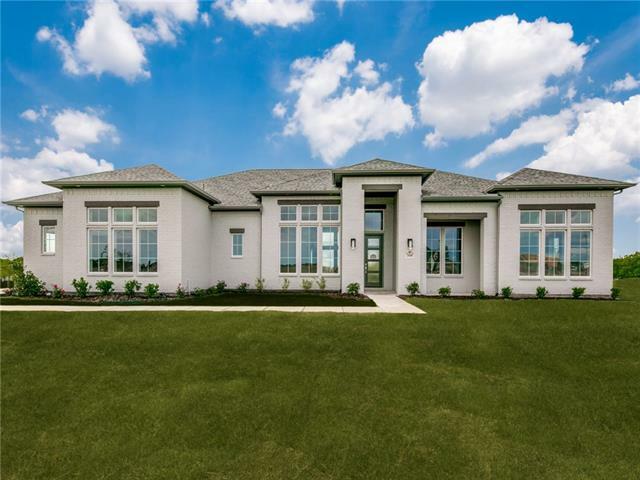 T"
"Megatel Homes' Livingston II Plan is a one story with over 3700 square feet complete with all the Gold series upgrades. 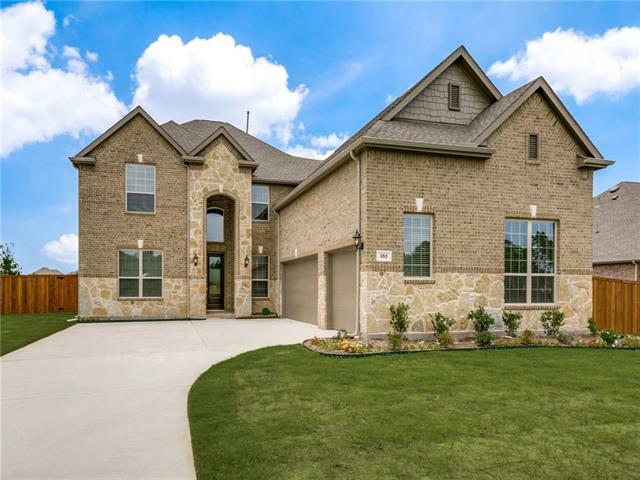 Gourmet Kitchen, custom cabinetry, wood flooring, tile in wet areas, granite quartz counters throughout, Butler's cabinet, Mud cubby, utility sink, tankless water heater, Trane AC components 16+ seer units, Low e windows, radiant barrier. Sprinkler system, landscaping, alarm system. 1.1 acre lot on very private drive, trees on lot, peaceful location." 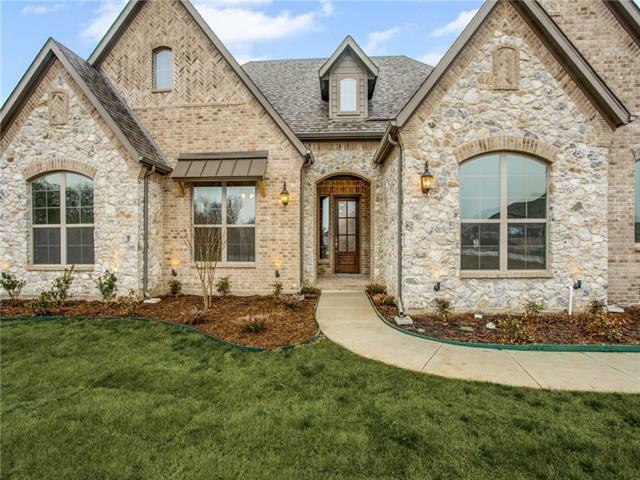 "MLS# 13989612 - Built by CastleRock Communities - April completion! 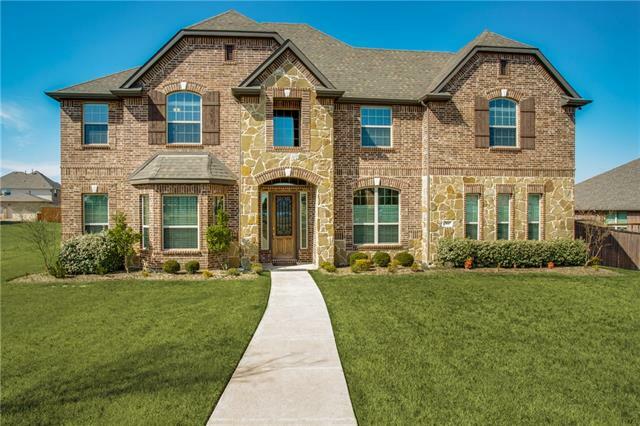 ~ This gorgeous home features a stunning multi sliding door and a true owners retreat. Come experience luxury living!!" 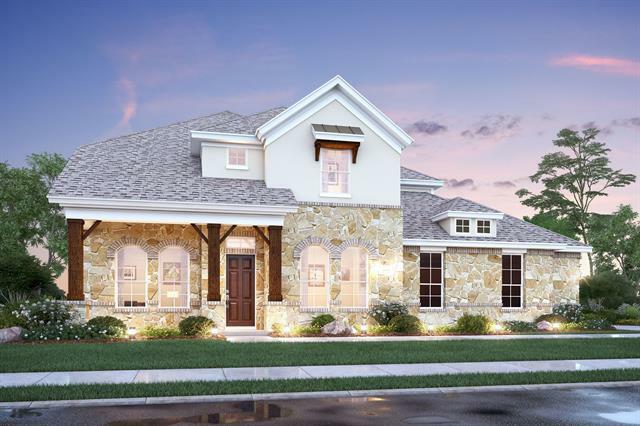 "Megatel Homes' Edinburgh Plan is a spacious 3768 square feet one story home. Complete with our Gold series upgrades. Gourmet kitchen, Butlers cabinet, Mud Cubby and utility room sink. Custom cabinets, granite and quartz counters throughout. Wood flooring, upgraded tile and high end carpeting included. Complete energy efficiency, Trane components, blown in insulation, Low e windows etc. Yard is landscaped with complete sprinkler system. Private and very quiet neighborhood, great schools, close t"
"A MUST- SEE Standard pacific Stunning home with 5 bedrooms 4.5 bathrooms located across from Greenbelt. Features include Hardwood floors,granite counter tops,SS appliance,new carpet,fresh paint, two stairs and epoxy floor in garage. Open floor plan with gourmet kitchen. Luxurious bath is complete with dual vanities,garden tub,shower and his and her closets. Premium lot on almost half acre and three car garages. Super spacious bed rooms through out that include a downstairs guest suite with fu"
"Home includes elegant foyer and formal dining room. Master and 2nd bedroom down. Includes game and media room. Gourmet kitchen with large island, double ovens, gas cooktop, abundant counter and cabinet space open to spacious 2-story great room with fireplace and views through an expansive wall of windows to outdoor covered patio. Master suite includes large walk-in closet, his and hers vanities, garden tub and separate shower. Lots of wood flooring, granite and a 3 car garage! Also included i"
"MLS# 13989595 - Built by CastleRock Communities - April completion! ~ This eye catching home features five bedrooms, including three with private baths. You are welcomed home by a grand entrance, showcasing a spiral staircase. The huge master bedroom boasts a bay window-sitting area. Wood floors and an open family friendly kitchen, make this home a must-see.."
"MLS# 13907242 - Built by M-I Homes - September completion! 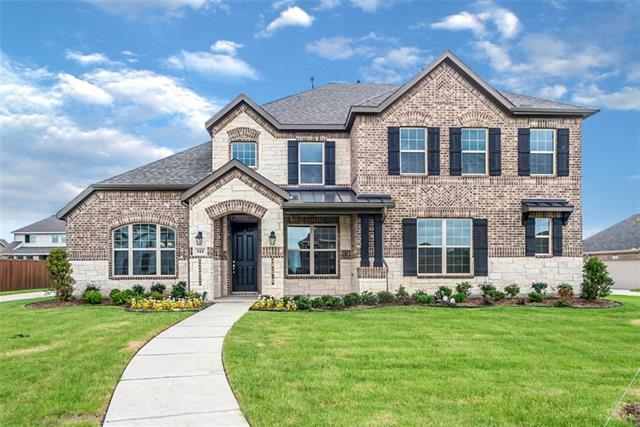 ~ This stunning one story plan has beautiful hardwoods in the entry, dining room, kitchen and family room. Plus $20,000 in upgrades through out the home. 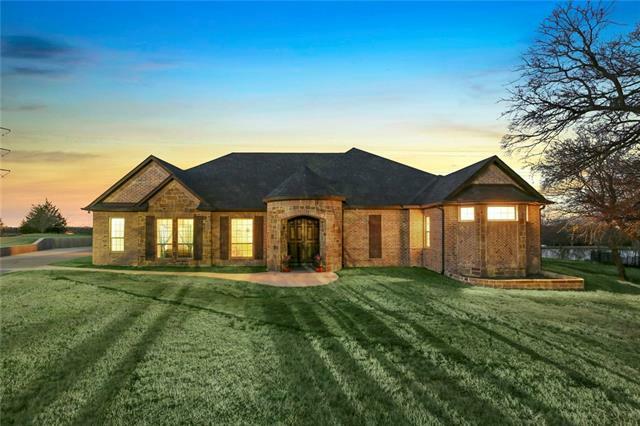 This lot is oversized at almost half an acre! There are gourmet kitchen opens into the formal dining room and family room. Great for entertaining. This home is complete with a covered patio and gas line for a grill." 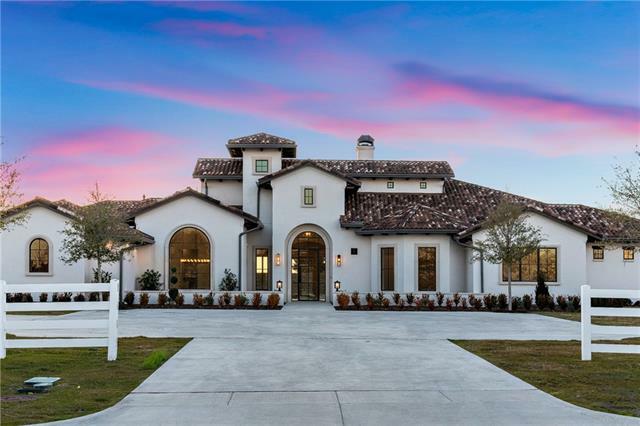 "Beautiful home in a highly desirable area of Sunnyvale, built by CalAtlantic of Stoney Creek at Lennar in 2015. This home has it all, including a downstairs master bedroom and mother-in-law or nanny suite. Perfect for a large or growing family with a total of 5 bedrooms and 4 full bathrooms. A game room includes a pool table, and there is a state of the art theater for entertaining! Excellent Sunnyvale schools are within walking distance. If that isn't enough, there are two community pool &"
"MLS# 13925489 - Built by M-I Homes - April completion! 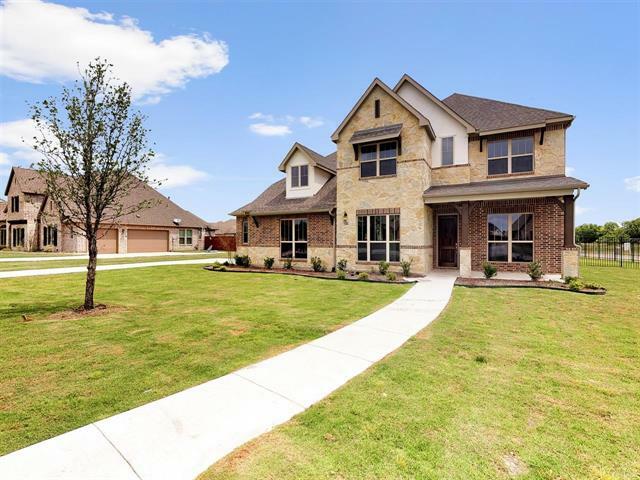 ~ This exquisite spacious five bedroom home offers an open family room to the gourmet kitchen with white 42 cabinets granite counter tops and features a beautiful gas cooktop. There is also a secondary guest suite along with the master suite downstairs. There are hardwoods in the entry, dining, study, kitchen and family room. The backyard boasts a large covered patio perfect for outdoor entertaining for all ages. Upstairs there are 3 addi"
"MLS# 13989561 - Built by M-I Homes - April completion! ~ Great multi-gen home! Master and secondary suite on first floor and a powder bath for guests, plus 3 bedrooms and 2 baths up. Space for entertaining in media and game room with dry-bar. Butler s pantry in kitchen, gas cook top, vented outside,SS built in appliances. Details include wood flooring in main living areas downstairs, plus upgraded tile, carpet, quartz counters in kitchen and master bath. 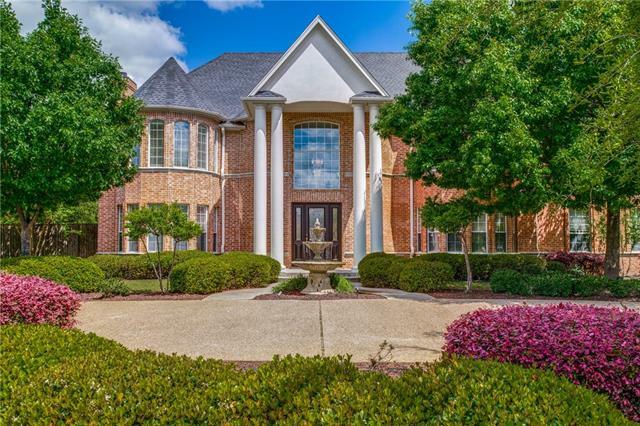 Situated on a large half-acre lot with "
"2 story home includes elegant foyer, formal dining, niches, 2 story ceiling in family room. Master and 2nd bedroom on 1st floor. Gourmet kitchen with large island, double ovens, gas cooktop, abundant counter and cabinet space open to spacious great room with fireplace and views through an expansive wall of windows to outdoor covered patio. Master suite includes bay window, oversized walk-in closet, his and hers vanities, garden tub and separate shower. Home includes game and media room as wel"
"MLS# 13870013 - Built by M-I Homes - Ready Now! 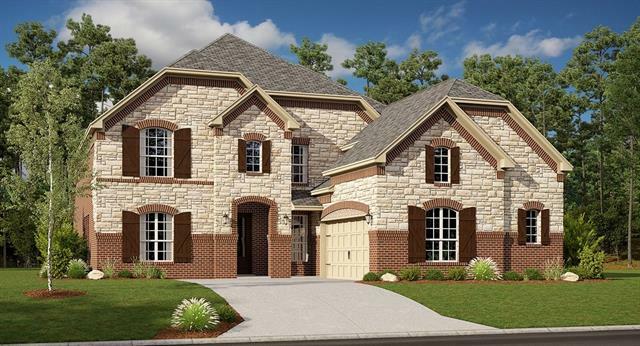 ~ The Westridge plan is simply captivating with a winding staircase at the entry. The chef s kitchen is open to a spacious family room with soaring ceilings. The master suite is downstairs and there is a guest suite with attached bath downstairs perfect for guests! Upstairs boasts a large open game room and also has a media room that is prewired and ready to be your own personal movie theater! There are an additional two bedrooms with two full ba"
"Beazer Homes Riverdale floor plan in the master planned community of Stoney Creek. 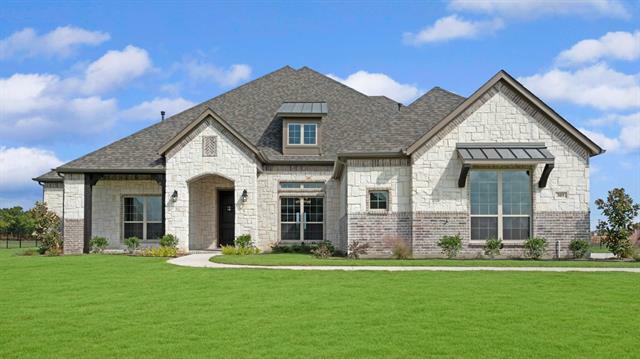 This beautiful two-story home features 5 beds with two down, 4.5 baths, study, dining room, loft, covered porch and patio and a 3-car garage. The spacious kitchen includes upgraded stainless steel appliances and a large island. It opens directly to the great room with a cozy fireplace and wood floors in the living areas. Inside the private master suite bathroom includes dual sinks, refreshing soaking tub and a wal"
"This home has been 100% remodeled as of December 2018 and is stunning. 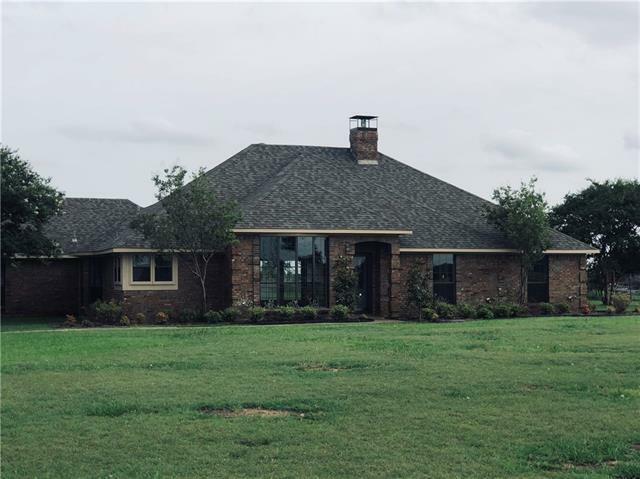 This country home sits on 2 acres of prime and leveled land, ready for your development as an entertainment back yard with pool and cabana, or a work shop or livestock barn. 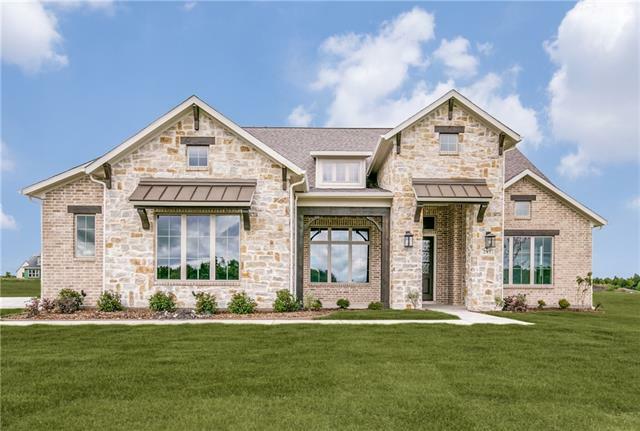 This home features open concepts, gorgeous center island, coordinated granite throughout the home, hickory wood, designer tile, fireplace, beautiful lighting, new Kitchen Aid appliances, a new media center, new wine bar w built in cooler & sink, 3 fully r"